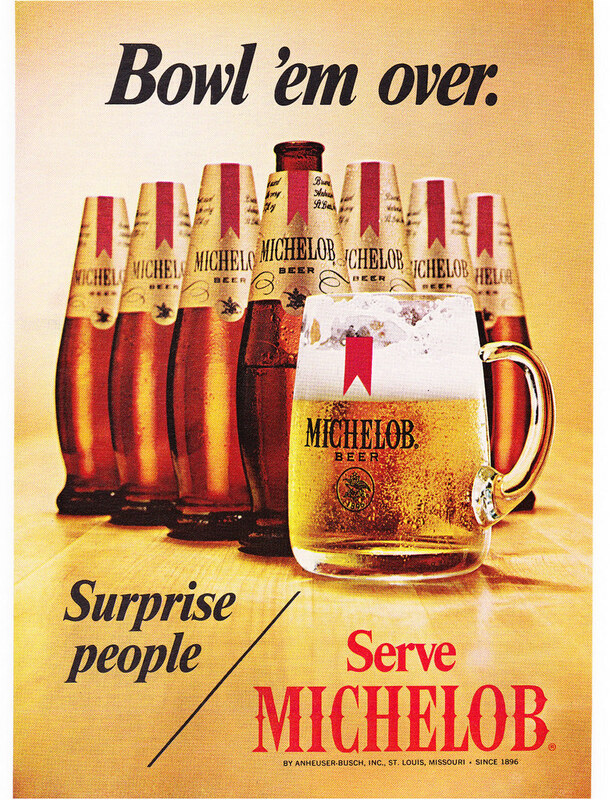 Wednesday’s ad is for Michelob, one of the brands created by Anheuser-Busch as a draft-only beer in 1896. It was first packaged in 1961, and its distinctive teardrop bottle won a design award the following year. But that was replaced in 1967 “for efficiency in the production line,” but reverted to a traditional bottle in 2002. This ad is from 1970, and features 10 bottles as stand-ins for bowling pins. Historic Beer Birthday: Frederick Gettelman Jr.
Today is the birthday of Frederick Gettelman Jr. (August 1, 1915-November 30, 1998). 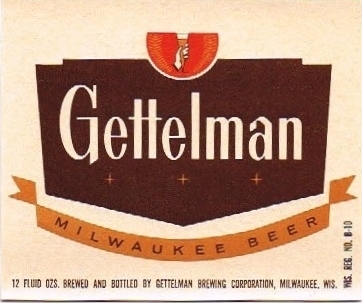 He was born in Wauwatosa, Wisconsin, the grandson of Adam Gettelman, who founded the A. Gettelman Brewing Co. in Milwaukee, Wisconsin. Junior worked at the brewery with his father, but after Senior passed away, the brewery was sold to the neighboring Miller Brewing Company in 1961. The Gettelman plant and brand continued on with Frederick Gettelman, Jr., along with his brother brothers Tom, as plant managers until Miller formally merged the two operations in 1971. I think Frederick Gettelman Jr. is in this photo, possibly on the left, but I’m not 100% sure. 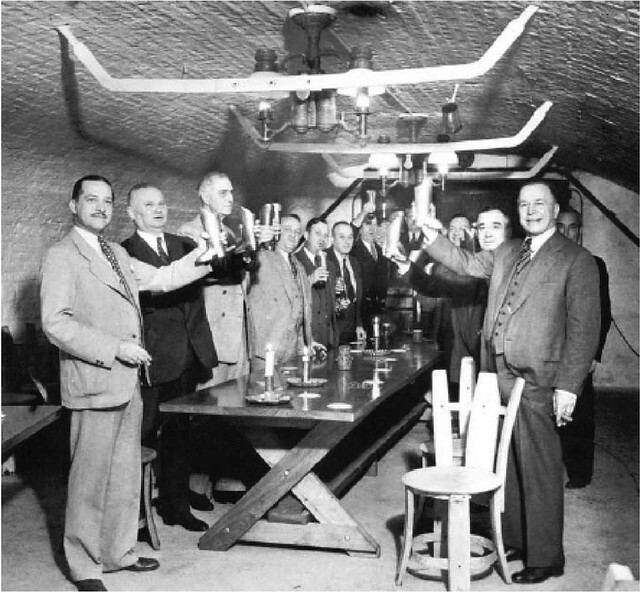 The A. Gettelman Brewing Company first began to show signs of the new post-prohibition prosperity in 1937 with construction of an addition to the old bottle-house. An 80 x 110 foot structure, the building was twice the size of the building it annexed. Cream-colored bricks salvaged from the old Gettelman mansion atop the hill overlooking the brewery went into the construction of its walls and the bottling equipment it housed was modernity itself. In fact, Fritz Gettelman had had a hand in the improvement of the bottle washer installed in the new bottle house. It was he who had dreamed up and perfected the idea of cleaning the bottles with high pressure steam and water. So efficient was the equipment in the ultra modern bottle shop that Gettelman was able to show figures proving that breakage on bottles of all makes and ages ran only .442 percent of total bottles handled. In addition to the modern machinery on the ground floor the bottle shop boasted a battery of glass-lined storage tanks in the basement, an innovation which Fritz Gettelman had also helped engineer. During development of the revolutionary tanks, he had spent long hours at the A. 0. Smith plant subjecting experimental models to every conceivable torture to prove his idea that molten glass will stick to steel. 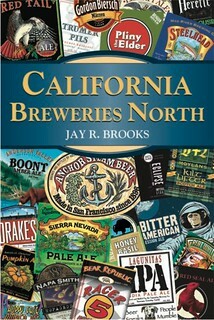 How he did this in the face of skeptical college “enchineers” — as he called them — is another story, but the success he encountered is borne out by the fact that few progressive breweries today are without the big beer holders with the glazed walls. All this while the affairs of the brewery had been directed from the office building which lies between State street and the brewery proper. By 1948, however, it was becoming increasingly apparent that the expanding brewery would need corresponding office facilities. It was decided, therefore, that an old malt-house which had, for the last several years, served as a place for miscellaneous storage be made over into an office building. Part of the building had originally been the first Gettelman homestead, antedating even the mansion on the hill. From what had once been its living room emerged the present office reception room whose walls are panelled with the cypress of the old wooden beer storage tanks. From the rest of the building the architect’s skill and a lot of hard work wrought the present Gettelman offices. 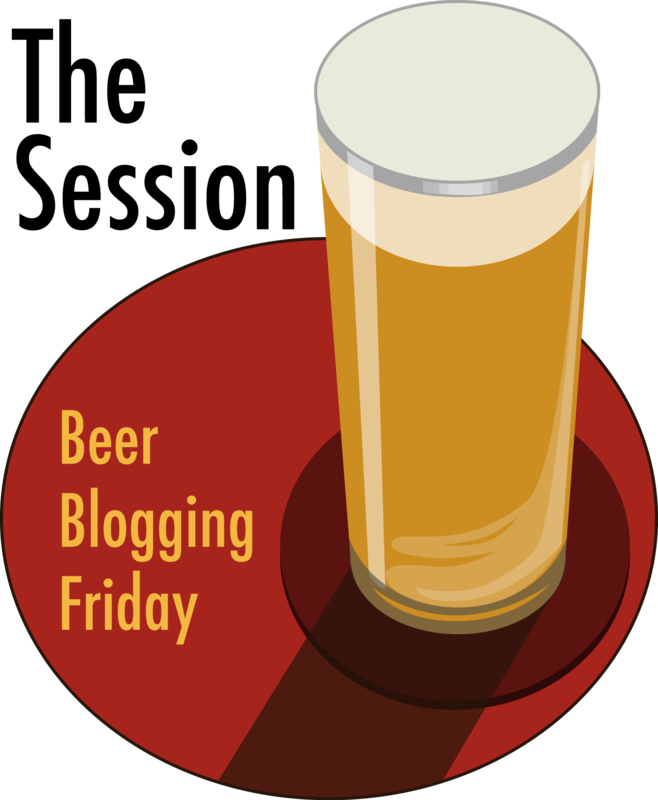 Fritz Gettelman went along with, and indeed inaugurated, most of the brewery’s advances, but he turned a deaf ear to any suggestion that he move his office to the newly renovated building. Moreover, he insisted that the second story room in which he had been born and from which had come many of his ideas on the humble brown butcher paper be left inviolate — and so it has been, to this day. 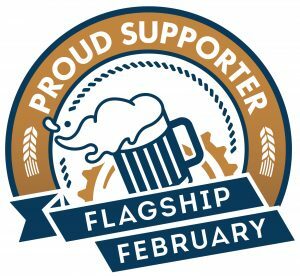 Modernization of brewery and office facilities was approved by everyone connected with the business, but no one sanctioned them more heartily than the two Gettelman brothers, Fred, Jr., and Tom, sons of the energetic and imaginative Fritz. Actively entering the management affairs of the brewery in 1939 and 1941, respectively, the two younger Gettelmans not only welcomed the changes but were, in large measure, responsible for their execution. Interest of the brothers in increased production and administrative efficiency was not an overnight affair. 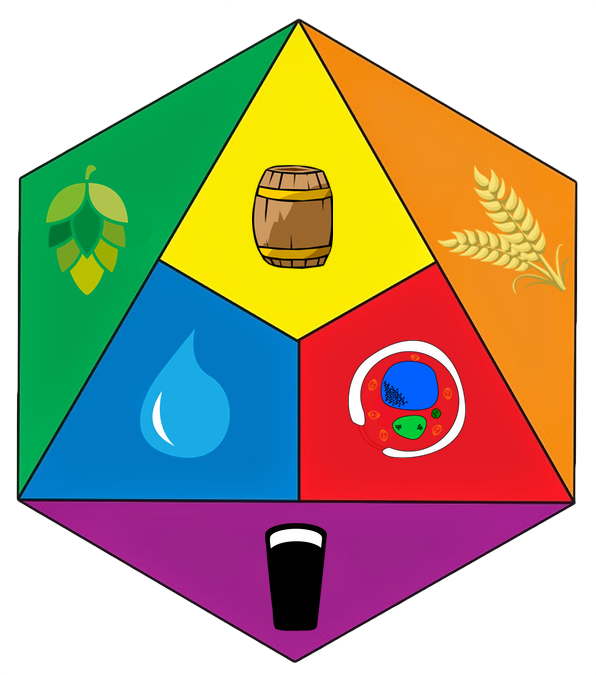 The lives of both of them had revolved around the brewery almost since they had taken their first steps and they had a working knowledge of every facet of the business long before they emerged from brewers’ school as master brewers. 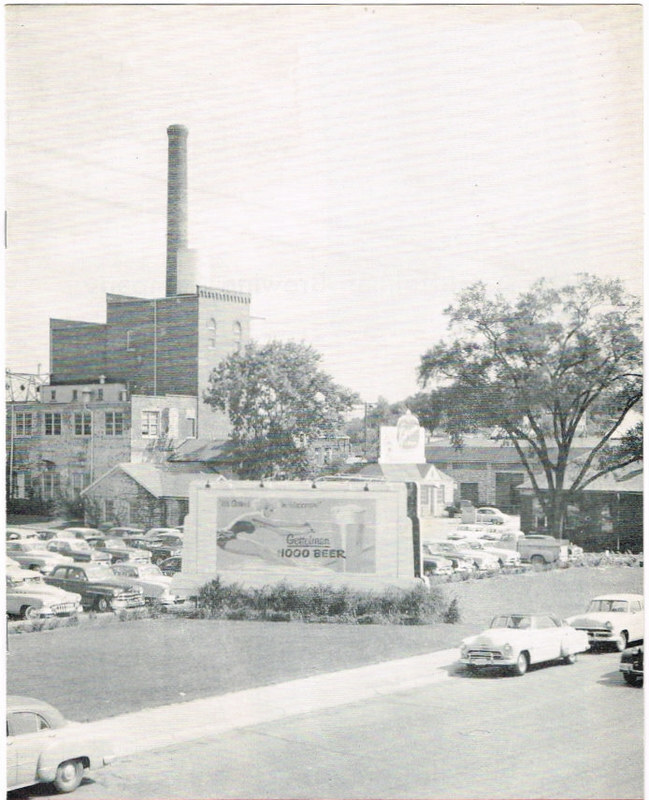 The brewery in 1954, on its 100th anniversary. 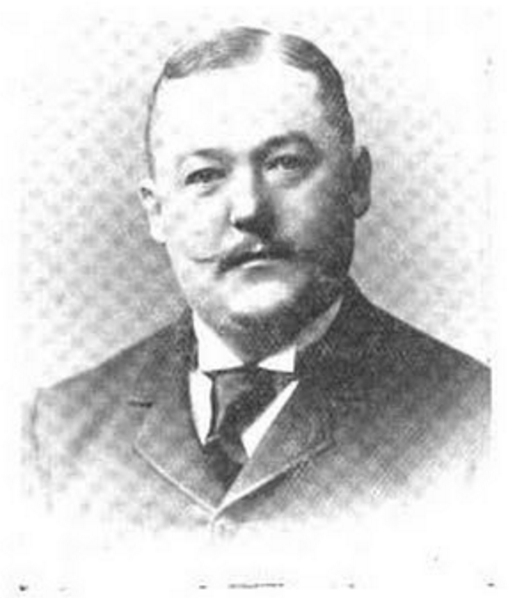 Today is the birthday of Henry Hess (August 1, 1859-July 25, 1909). 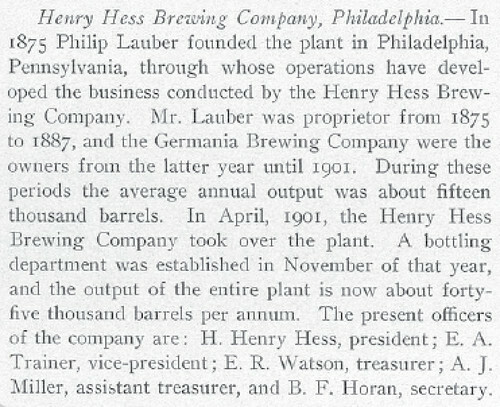 Hess was born in Bucks County, Pennsylvania and in 1901 bought the Germania Brewing Co. in Philadelphia, which has originally been founded in 1875 by Philip J. Laubner, and it was known then as the Philip J. Laubner Brewery. 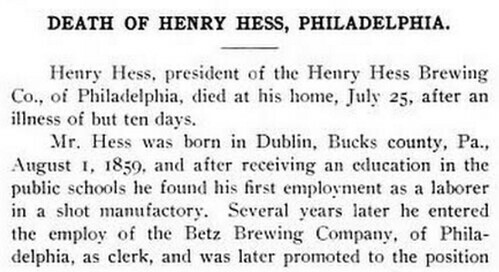 Hess renamed the Henry Hess Brewing Co. and remained opened until it closed in 1911, presumably due to his death two years before. He appears to have been involved in another location that was also called the Henry Hess Brewing Co. from 1909-1912. 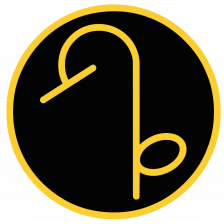 Before 1909, itwas known as the Consumer’s Brewing Co. and afterwards was known as the Premier Brewing Co., which closed in 1920 due to prohibition. In 1933, it re-opened as Trainer Brewing and in 1937 became known as the Otto Erlanger Brewing Co. until 1951, when it closed for good.